Beauty, Travel & Lifestyle - theChency's Diary : You can buy & sell your luxury goods on Reebonz.com! 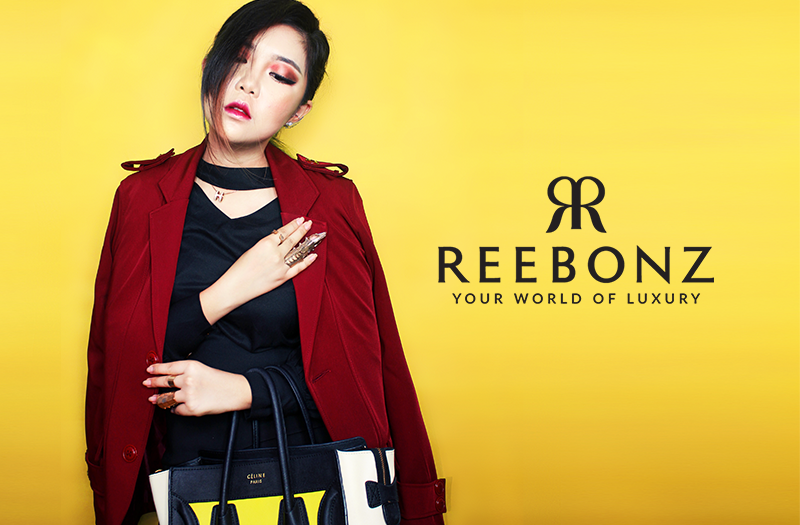 You can buy & sell your luxury goods on Reebonz.com! Three things that girls fancy about; makeup, shopping, and bags. Who doesn't love bags, “ they're just like having friends, we can never have too many of them” - especially the luxury one. Every girl dreams to have at least one luxury handbag and I know.... the price is not necessarily the friendliest ever. Perhaps I should let you understand more about Reenbonz first... scroll down for more. 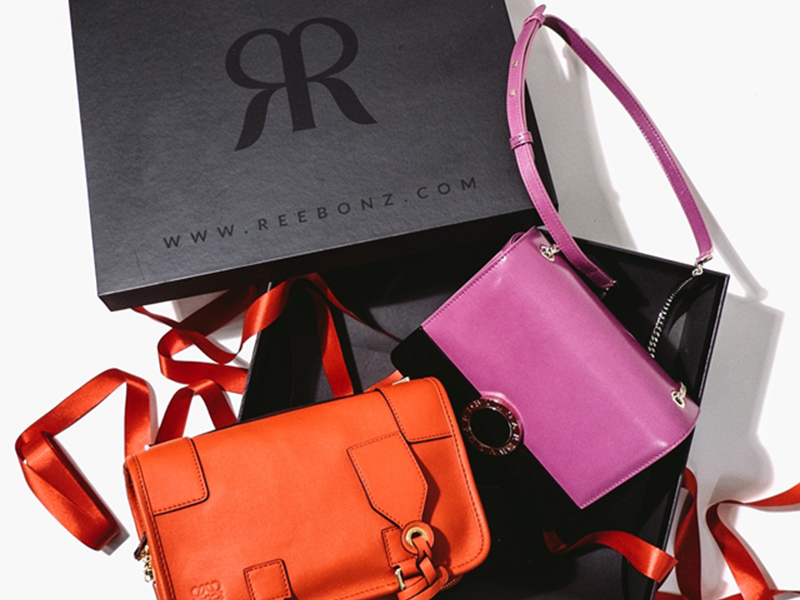 Reebonz , pronounced as 'rib-bons', started in 2009 as a website that wishes to make authentic luxury affordable and accessible to everyone with 100% hassle-free. It is a member-only luxury-commerce website that offers more than 800 designer labels, with hundreds of new items on sale daily. The sale events refreshes daily at 10am sharp. All items and prices are available on the website while stocks last and while the event runs, so make sure you grab your desired handbags before someone else does. And if you sign up as a member, you will get unlimited access to thousands of luxuries at the exclusive discount up to 60% OFF and much more. WOW! The most in demand brands on Reebonz includes Prada, Balenciaga, Givenchy, Salvatore Ferragamo, Micheal Kors and more that you could find on Reebonz with exclusive discounts. If you're a fan of Louis Vuitton; and Chanel, then you should definitely check it out as they have the widest range of both brands new pre-owned edition on Reebonz Closets. In March 2016, Reebonz turned 7, and guess what? They held their Saleversary event with a never-before sale up to 90% OFF sitewide for members till the end of the month. This is your golden chance to buy your favourite designer handbag, so don't miss a series of exciting and jaw-dropping sales in this month. "I'm keen to sell my pre-loved luxury items. Where should I sell?" 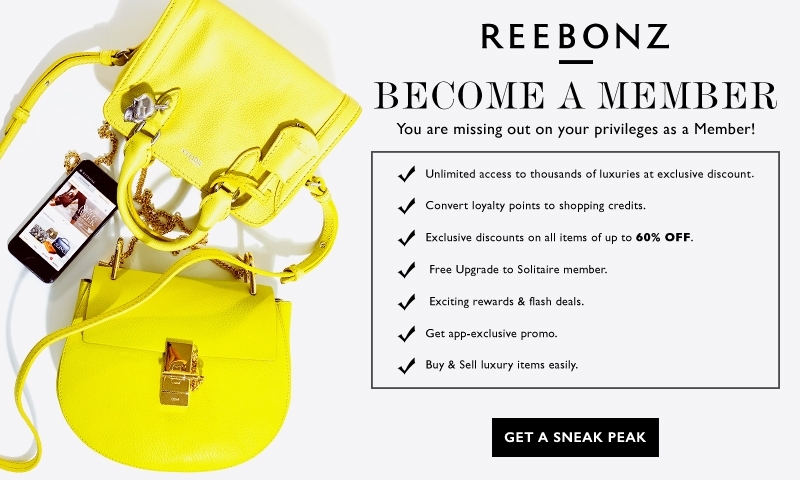 Reebonz is now taking it a step further. They are now offering a selling platform for luxury lovers to sell luxury items to fashion enthusiasts alike, hassle-free. 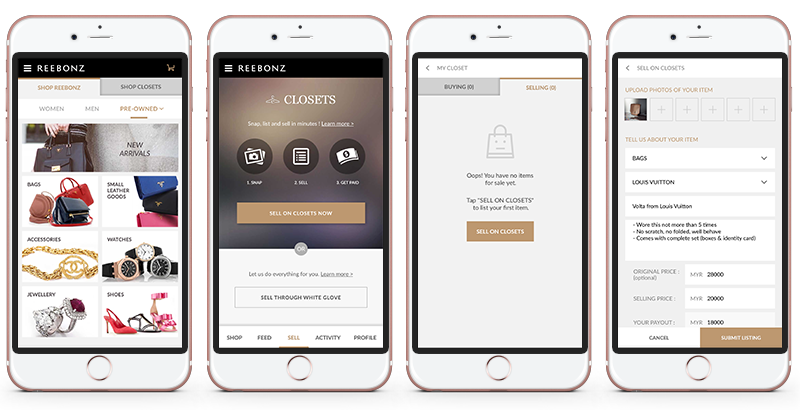 All you need to do is t download the Reebonz app on your Apple or Android device. Then you can buy or sell pre-owned luxury by making offers and negotiate with the buyers or sellers. What a win-win situation! Give it a try, there are more than 30 luxury items actively sold everyday. Frankly speaking, I am kinda having a hard time looking a good media platform to selling off my preloved and finally Reebonz offers this service on their app. Personally, I found Reebonz app is really simple and easy to manage; pretty much like Carousell and Shopee but a more exclusively app for luxury lovers. At least, buyers come to this app is searching for their desired luxury product. Of course, you can search new items on the app too. The steps are indeed simple as abc. You just have to snap your pre-loved luxury product as many as you can, then just upload and fill in according to the category, brand and details that you want to let the buyer know. Or if you just lazy to manage yourself, you can even just let Reebonz helps you by clicking 'Sell Through White Glove' button. How simple is that? When you find items you love, be sure to grab it fast before anyone does because all items are in limited quantity. Do you have a dream luxury handbag? Then shop now at www.reebonz.com.my and check out their awesome deals! Wow... So much discounts now. Times for me to change to a new bag now. been hearing bout this popular luxurious bags site :D but i didnt know that they are already 7! Yes i love their super sale, to many good choices.